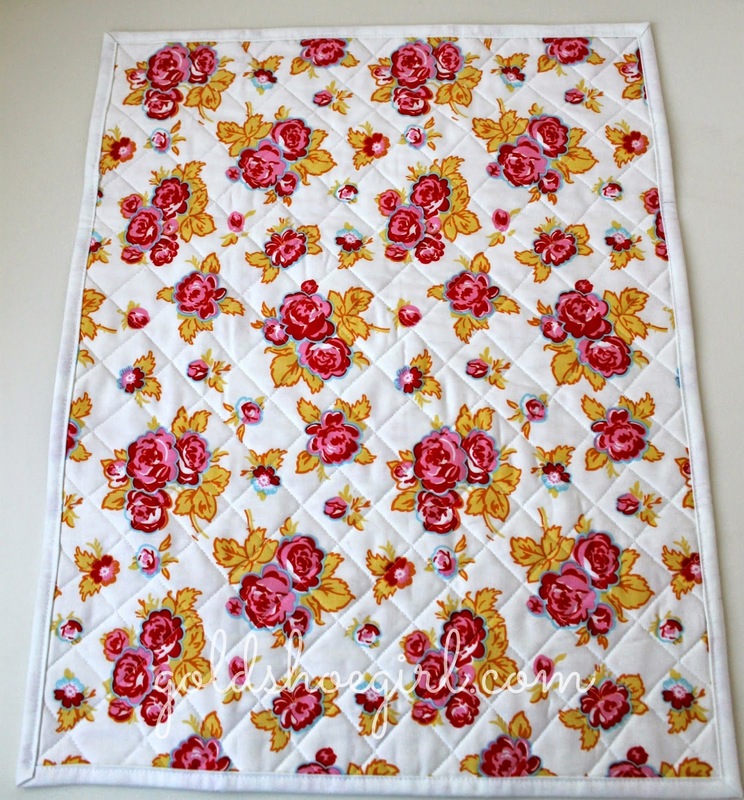 A few weeks ago I was contacted by the wonderful Elea Lutz who asked me if I would be willing to make a doll quilt out of her new fabric line Milk, Sugar & Flower. Ummm YES!!! I couldn't type my reply fast enough. 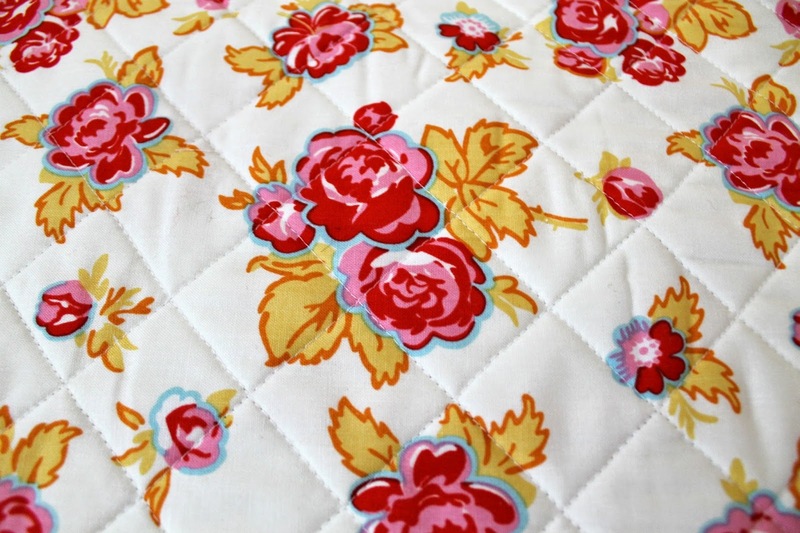 Her beautiful line of fabrics is produced by Penny Rose Fabrics which is the sister company to Riley Blake. I was so honored that she asked me to work with her and so excited because I had already been looking forward to this line. 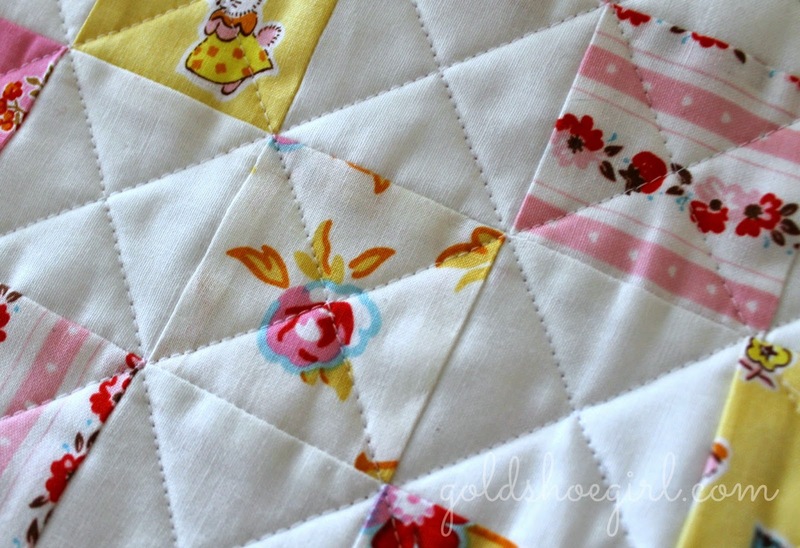 Elea asked me to make one of my patchwork doll quilts and I gladly agreed. I have to say that these fabrics are even cuter in person than in the pictures. Everyone always notices the adorable bunnies and kittens, but I think the strawberries in the stripe are so incredibly sweet. Originally, we were going to do the back in white but once the fabrics arrived I knew we had to use the large rose print. This print just quilts up so nice. I think this print would make a wonderful backing for any size quilt. The colors are gorgeous. 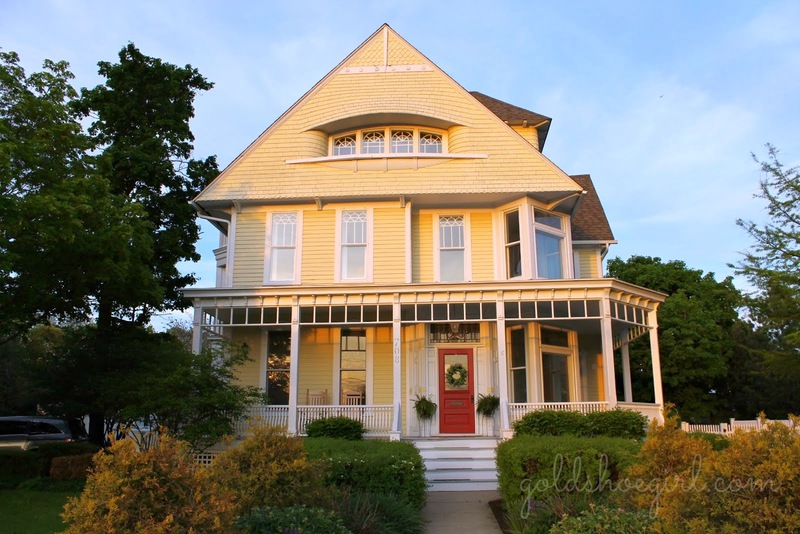 I love the combination of the yellow and reds with the light blue highlight. I couldn't help taking another close up. Milk, Sugar and Flower is coming out this month. I can't wait to get my hands on the whole line. If you want to see some other cute inspiration projects from this line check out nanaCompany's blog and Tied with a Ribbon's website. 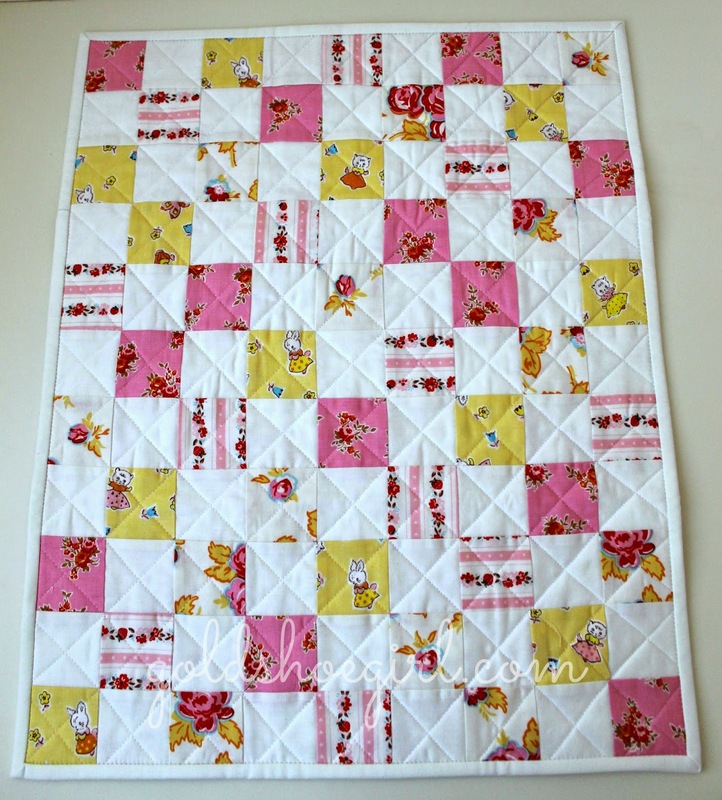 If you're interested in purchasing your own sweet doll quilt check out my etsy shop. This is so pretty. 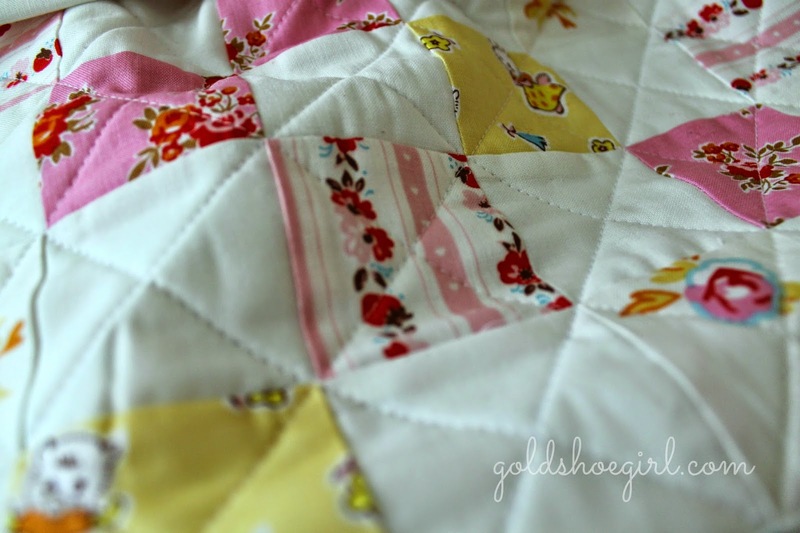 I love how the fabric looks and the quilting is perfect. How big is the quilt when finished? This doll quilt finished at about 18 x 21 inches. Thanks for your kind words. How cute, somewher a little girl will be very glad! You're always so sweet! Thanks for all your comments!!! 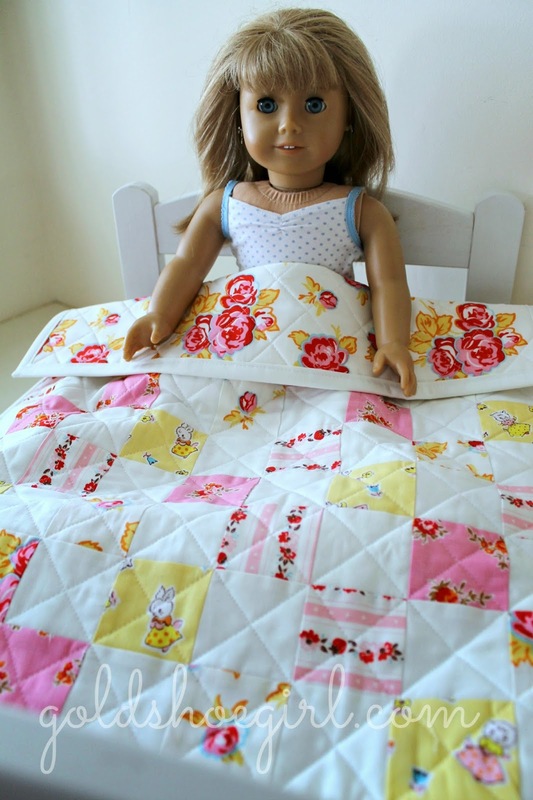 Love the fabric and your doll quilt! 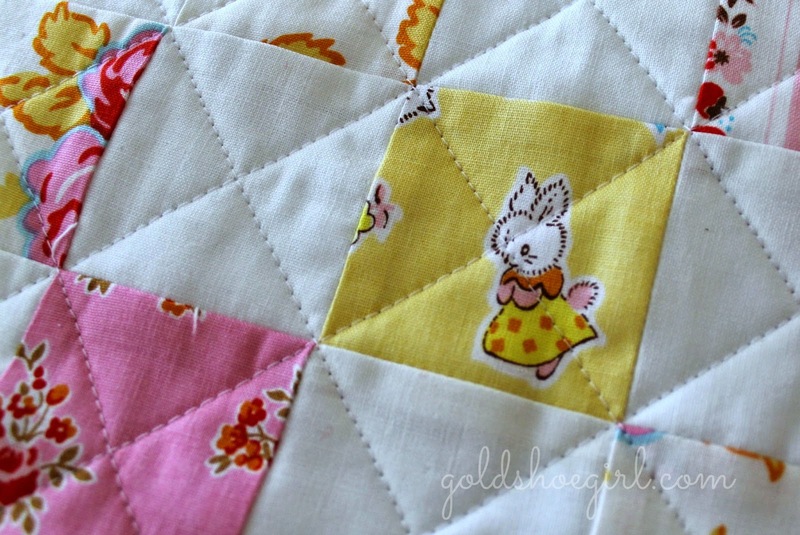 what size is the finished little quilt? It finished up at approximately 18 x 21 inches! Thanks for the nice compliment! I really appreciate it! Thanks for introducing me to these prints, those rabbits are so sweet.